OMAHA, Neb. 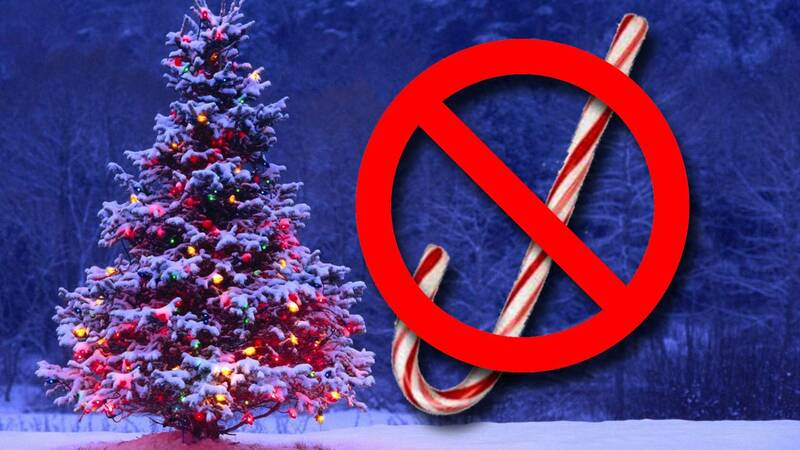 - A school principal has been placed on leave after banning certain Christmas decorations, including candy canes because they're shaped like the letter 'J," which stands for Jesus. The principal also banned anything red or green in classrooms because they're the colors of Christmas. Jennifer Sinclair, the new principal at Manchester Elementary School in Omaha, sent a memo to her staff detailing which items would be banned, according to KETV. However, Sinclair did allow snowmen, snowflakes, gingerbread people, penguins, hot chocolate, scarves and a few other items. The school district put Sinclair on administrative leave, saying she did not consult with administrators about school policy.